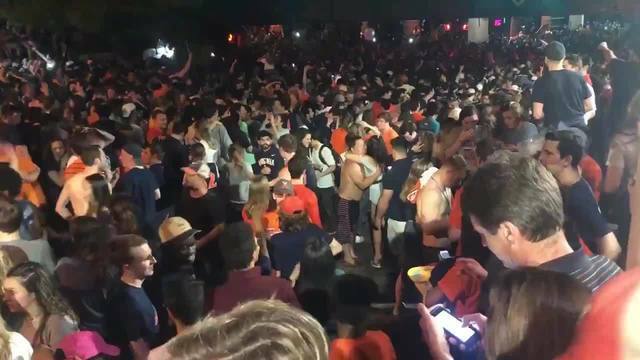 CHARLOTTESVILLE, Va. (WRIC/AP) -- It was a chaotic scene in Charlottesville Monday night and into Tuesday morning as fans celebrated Virginia's first national championship. While things got a little rowdy, law enforcement appeared well prepared. There were no immediate reports of injuries or arrests. Our cameras did catch some fans burning a couch. In most other cases, people celebrated responsibly with cheers, hugs, and high fives.